Aerosmith is ready to return to work on its next studio album, according to drummer Joey Kramer. "Today is the first day (bassist) Tom (Hamilton) and I are getting back together," he wrote Monday on the group's Web site (http://www.aeroforceone.com). "We just rehearsed for two hours and it feels so good! We can't wait to get back into the studio and get back out on the road to do what we do best." Work has already begun on the band's first album of original material since 2001's "Just Push Play." Aerosmith pressed pause on the project last year while band members recovered from a variety of medical issues, such as singer Steven Tyler's rehab stint and lead guitarist Joe Perry's knee surgery. "Like a lot of other things in life, you don't get to call the shots on these things, do you?," guitarist Brad Whitford told Billboard.com last fall. "We're just ... getting older." There's no date for the new album, but it's expected to be out sometime this year via Columbia. 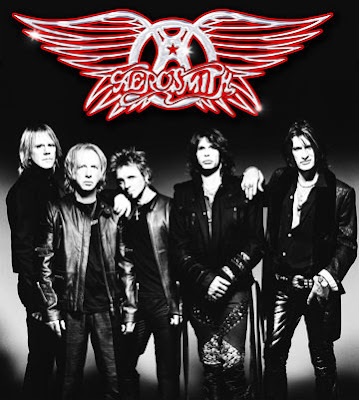 Aerosmith also has one live show lined up on February 1 at Estadio Olimpico in Caracas, Venezuela.